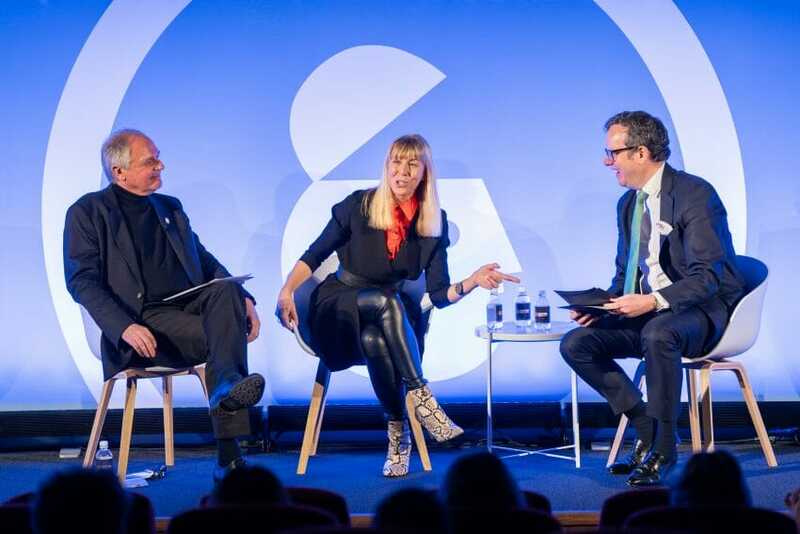 From left: Paul Polman, former CEO of Unilever; Caroline Casey, founder of #valuable and The Valuable 500, and Michael Hayman, founder of Seven Hills, on stage at the AWE. Sainsbury’s and Omnicom demonstrated their commitment to disability inclusion by announcing they have become members of The Valuable 500, a global campaign which strives to place disability at the top of business agendas. The news was announced by the founder of #valuable and disability activist and social entrepreneur Caroline Casey, who took to the stage at the seventh Advertising Week Europe conference alongside former Unilever CEO Paul Polman, to urge global business leaders to recognise the business case for including the world’s one billion disabled people. Casey, founder of #valuable commented: “I am honoured to welcome the latest cohort of leading companies, Sainsbury’s and Omnicom, on board as our movement grows. Without leaders stepping up and facing the challenge of this inclusion revolution, the one billion disabled people around the world won’t achieve the equality they deserve. The campaign recognises that when businesses take the lead and take action, society will follow – leading to real change being made. It is seeking 500 global businesses to place disability on their board agendas. The news that Sainsbury’s and Omnicom are pledging their support to the campaign, comes just weeks after the first 10 members were announced, with the campaign hinting at advanced conversations with many other global companies. Tim Fallowfield, Company Secretary, Corporate Services Director and Board Sponsor for Disability Age and Carers for Sainsbury’s, said: “We’re extremely proud to be pledging our support to The Valuable 500. As part of our vision to be the most inclusive retailer, we are always looking for ways to improve and adapt to meet our customers’ and colleagues’ needs, as evidenced by our ongoing focus on inclusion and diversity at Board level. Today, over one billion people across the world live with some form of disability – 15% of the global population, or one in seven people – but their value is routinely ignored by business, equivalent to disregarding a potential market the size of US, Brazil, Indonesia and Pakistan combined.